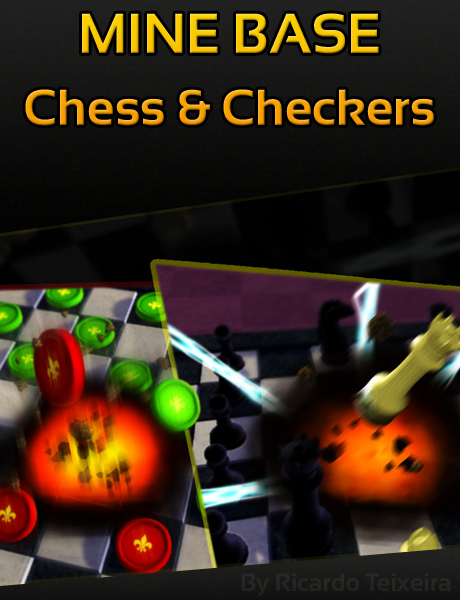 Chess & Checkers like you have never seen before! Mine Base combines the traditional board games you already know with videogame-like features. -Placeable Mines: Mess with your adversary strategy. -Death Ray: A time based power up that allows you to disintegrate your adversary pieces. -Dead Zones: Strategically block board cells. -Multiplayer: In addition to single player, you can also play with a friend on the same device or Online. -Chat via text messages or Voice over IP with "Push-to-talk". -Wacky themes: Various themes to chose from and many more coming every other month. Be advised: The multiplayer does not provide a "lobby" for match making. Direct "player to player" only, via Local Network or Online, by direct connection. Bacon & Explosions, Need I say more?